Are There Any Four-Legged Liabilities In YOUR Barn? If you run a lesson program or a trail string, any horse in your program with a history of dangerous behavior is a four-legged liability. For example, the family of a child who was severely bitten by a horse is suing an Aspen outfitter, claiming that the outfitter was negligent by allowing its guests to come into contact with a horse that had a history of biting. 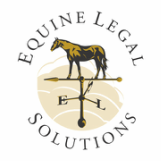 When a student or trail ride customer is injured by one of your horses, the mere fact of injury is not enough basis for a legal case against you. Instead, the injured party has the burden of showing, by a preponderance of the evidence, that you were negligent. Showing that you breached your duty of care to the injured party is an essential element of negligence. However, if you are aware that a horse in your barn has a particular behavior problem, say biting, and that behavior problem then results in injury to one of your customers, you have just made the plaintiff's case against you much easier to prove. The plaintiff can show that although you were aware that the horse had a problem, you breached your duty of care by not taking appropriate steps to protect the plaintiff from the particular harm that you knew might result from this horse's behavior. Sometimes, it's virtually impossible to protect the plaintiff from the possibility of a horse exhibiting dangerous behavior, such as with a horse that is spooky by nature. In such cases, the horse in question is indeed a four-legged liability and should be removed from the lesson program or trail string.